The UK public have truly embraced the cafe culture and it's easy to see the benefit to retailers of offering not only a good selection of coffee on the shelves, but also hot coffee to drink in or takeaway. Coffee has surged in popularity in the UK, overtaking the traditional favourite - tea. No longer a nation of instant coffee lovers - UK consumers are demanding real coffee. This new breed of coffee connoisseurs want to know about the beans used, where they are from and how they were roasted. Coffee today is an experience - not just a drink. Here's just some of the coffee's we've had the pleasure of trialling this last month. Cyprus's Oldest Coffee Roaster Late last year, we came across Ozerlat during a trade show, and the coffee we tried whilst we were there was so good that we were hooked straight away! There are many things with this brand that is impressive - from the friendly family team, to the exceptional taste. One stand out feature to us was how easy this coffee is to make ready to serve. The beans are so well ground, that even with minimal disruption, there is no grittiness to this coffee when drunk! On another note, Ozerlat also offer a range of hand beaten copper pots to make their coffee in - watching the coffee be made in a one of their gorgeous hand beaten copper pots in less than a minute is very impressive and a surefire way of impressing guests. 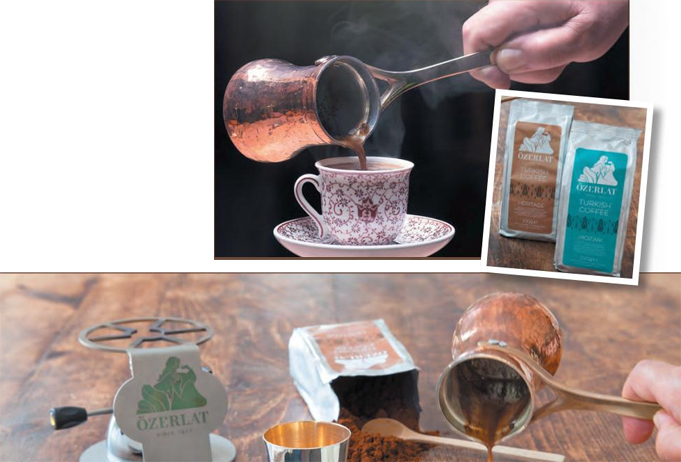 Ozerlat company director Iley Ozerlet says: "As Cyprus's oldest coffee roaster, Ozerlat have been making exceptional Turkish coffee since 1917, when our great grandfather started roasting and grinding fresh coffee under his home in Nicosia." As fourth generation representatives, we are taking on the challenge to dust off this old tradition and reintroduce it with a modern twist." 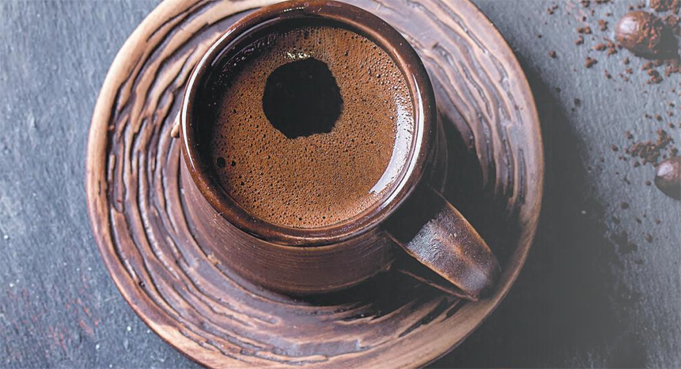 From mastering the brew to savouring the complex aromas and flavours, Turkish Coffee is all about taking a moment out from the clamour and bustle of daily life, to stop and enjoy an indulgent coffee experience like no other. This is what coffee lovers are demanding, and what is exciting them." Our Turkish coffee is made from 100% Arabica beans, uniquely roasted and blended, and ground much finer than espresso." The coffee is then brewed in a special pot and served unfiltered in a small cup. It is one of the simplest coffees to prepare - but a real gourmet experience." In addition to our two coffee blends - Heritage and Mozaik - Ozerlat offers Turkish Coffee Making Kits and an automatic Turkish Coffee Machine, which serves directly into the cup." It means that this innovation in the art of coffee making can be enjoyed in the eating out environment, where time is a factor."